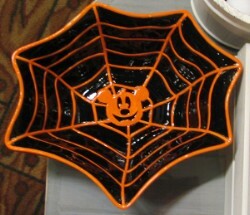 This is a Brand New Mickey Mouse Ears Pumpkin Spider Web Trick or Treat Candy Bowl Dish. 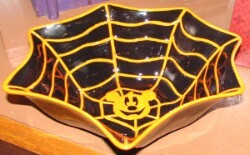 Authentic Walt Disney World Halloween Merchandise. 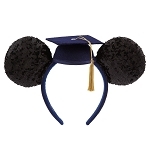 Does not come with candy. 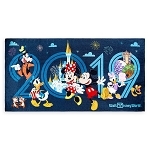 Extremely popular item sells out early every single year! 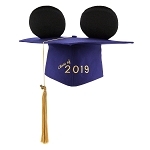 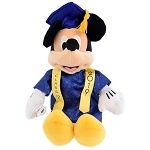 This is a Disney Theme Park exclusive item and cannot be purchased anywhere else. 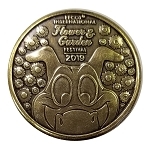 Please note, some of these items have small imperfections and/or chips that have been sealed with black enamel coating. 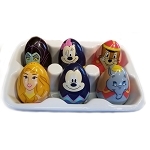 This was done by Disney before the item was put on the shelf and the bowls are sold as is.